Can You Actually Know When Someone Is Thinking About You? On some level, all of us have the ability to feel the emotional and physical conditions of someone we feel deeply connected to. This skill is known as clairsentience, and although it’s innate, most of us have no idea that we can harness this psychic gift until our souls become connected to someone else. If you’ve had to ask yourself why you can’t get someone off your mind, it’s because you’re physically and emotionally feeling that someone’s moods, feelings and energy. So since you can’t get them out of your head, how to know if someone is thinking about you too? Practicing mindfulness in all aspects of our lives can dramatically improve our existence. It is certainly possible to figure out if someone has got you in their thoughts. So, how to know if someone is thinking about you? You have to be mindful and try not to cloud your head with meaningless media like television and mindless web browsing, or negative chaotic and dramatic distractions. Our brains and our souls are so powerful. Mindfulness will open you up to telepathic communication, which is very real. It is important to pay attention to your feelings when these surprising thought waves come through. If for no reason at all, someone comes into your mind without you willfully conjuring up the thought of them, it could be a very clear sign that you are experiencing a telepathic communication with that person because they too are thinking of you. You might feel pangs of heartache over a failed romance, which would indicate that the other person feels the same way. 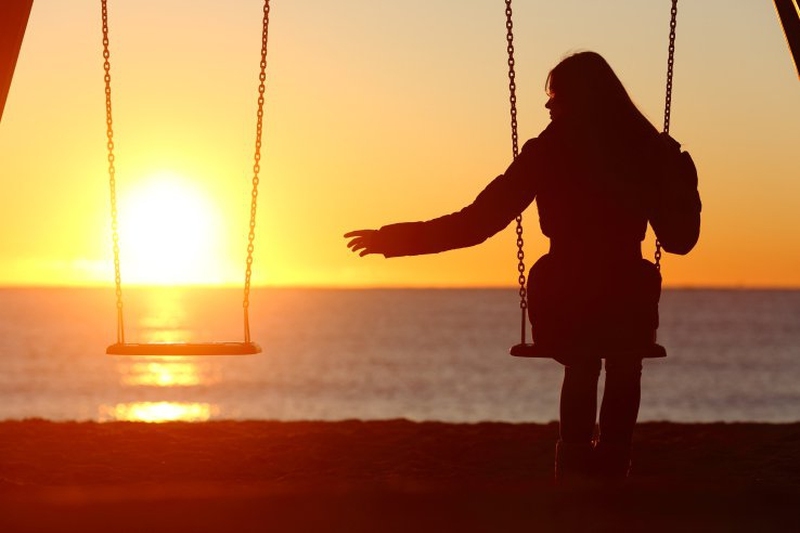 Deeply missing someone and having them come to your mind so often, especially after a long time, may mean it’s time to try and reconnect. Feelings, like resentment, guilt, or vulnerability should be acknowledged, but not acted upon. Recurring thoughts and feelings of nostalgia, happiness, and warmth surrounding one particular person probably mean that there is a deep desire on their sides to reunite. If you sneeze just once and the urge to sneeze again does not come, then someone is talking about you in a good way. A double sneeze means quite the opposite. Two sneezes in a row--someone is saying negative things about you. Three sneezes with a neck pain are a blessing. It is also said that if someone says “bless you” right after your sneeze, it indicates that everything will be alright for you eventually. As upsetting as it sounds, a single yawn could mean that someone is speaking badly of you. Sometimes, a single yawn could also mean that someone is speaking so badly of you because they actually wish death upon you. Take this one point lightly though, as a single yawn could also just mean that you are tired, that you have fallen for the contagious yawning phenomenon, or that your brain’s oxygen supply is temporarily low. How to know if someone is thinking about you? Pay attention to your hiccups. Of course there is a reasonable scientific explanation for hiccups—that for the moment, your lungs and diaphragm are out of sync, producing a hiccup each time your diaphragm touches your lungs. It has been known that hiccupping could also mean that someone is maliciously complaining about you because they just don’t like you in general, not because of something you’ve done wrong. This person will lie about you to make themselves look good. Take note if you notice that you’re hiccupping around one person more frequently than others. They could be the culprit. For men and women, twitchy or itchy eyes mean different things. For women, if your left eye is behaving strangely for no reason like illness or allergies, then someone is probably speaking highly of you, or you will happen upon some good luck soon. If it’s the right eye, then it’s a warning that someone’s talking trash or you’re about to run into some bad luck. For men, the rule is the same, but on opposite eyes. Whether it’s your right hand or your left hand, itchy palms mean that someone is thinking about you and money. An itchy right palm means that money is coming to you, while an itchy left palm means you’ll be losing money somehow. You can try to harness the energy of a living tree by rubbing your palms on it in order to increase your chances of money coming in rather than money going. If your left ear is itchy, then it’s likely that someone is degrading you by discussing your faults. If your left ear is itchy and burning, then that someone is being extra vile with their words when talking about you. How to know if someone is thinking about you in a good way via ear? If your right ear is feeling itchy, then someone, who loves you deeply, is speaking highly of you and truly believes in you. Of course, if either ear is itchy, then perhaps you just have buildup wax. Choking a bit on your food, coughing, or even just a tickle of the throat could indicate that a confrontation is looming. Have you ever noticed that at family gatherings, someone always has a cough or a hiccup with their food, and then there’s a disagreement? The energy around the table is so thick you can literally choke on it. If you’re alone and this happens, you could be subconsciously setting up a situation in your head. Without being embarrassed or being sick, a burning sensation in your cheeks means that someone is saying something very nasty about you. The feeling would be similar to the burn you would feel after a hard slap. This shocking feeling comes as result of someone speaking ill of you that you wouldn’t expect to, so it hurts. When the sensation goes away, it means they’ve shut their nasty trap and are no longer talking so poorly of you. Server responsed at: 04/23/2019 8:21 p.m.